Friends of Nature is very proud to celebrate the well deserved appointment of our Founder Rudy Haase to the Order of Nova Scotia. 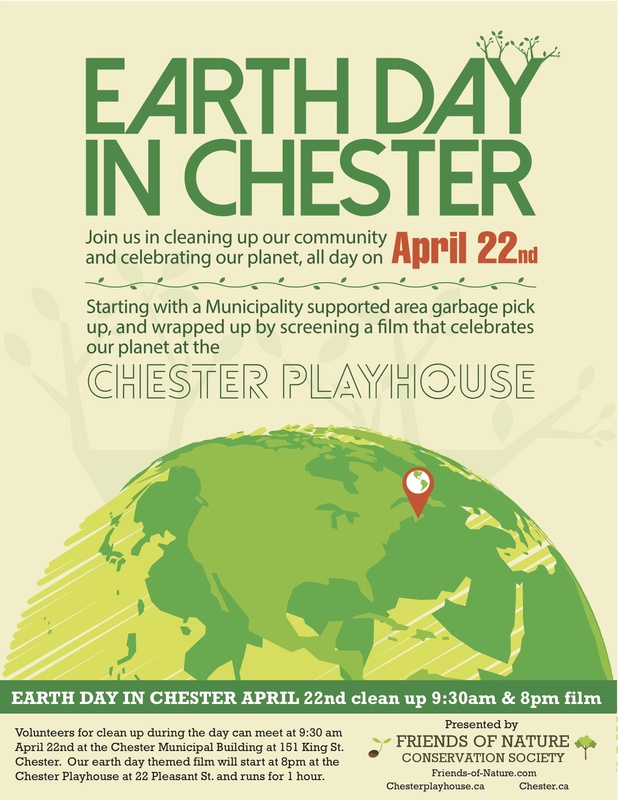 A special celebration will be held at the Chester Playhouse at 7:30 pm on Wednesday September 23, 2015. The Playhouse will show a Neal Livingston produced film about Rudy’s life. This documentary captures Rudy’s youthful love of life and nature and will motivate many people for years to come tom be more active, socially aware and inspired to protect nature. 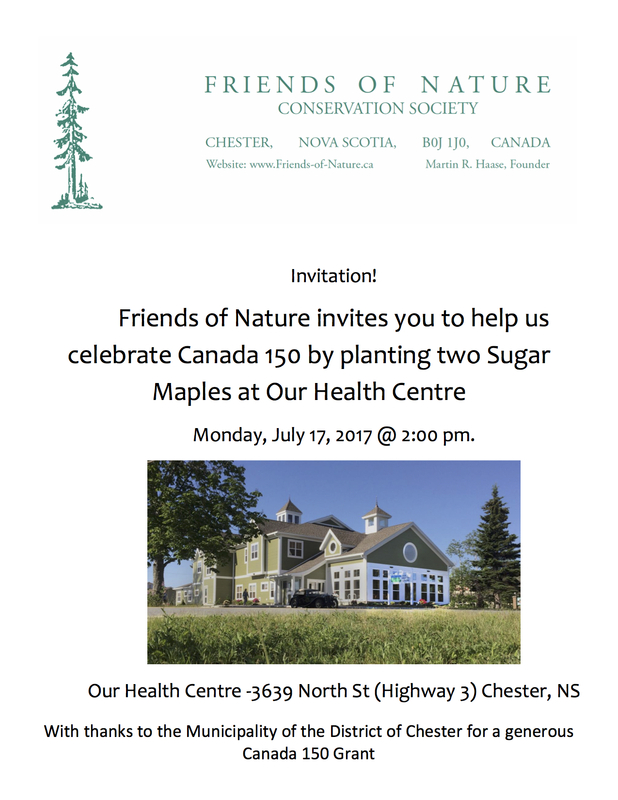 The event is by donation at the door to the Friends of Nature. 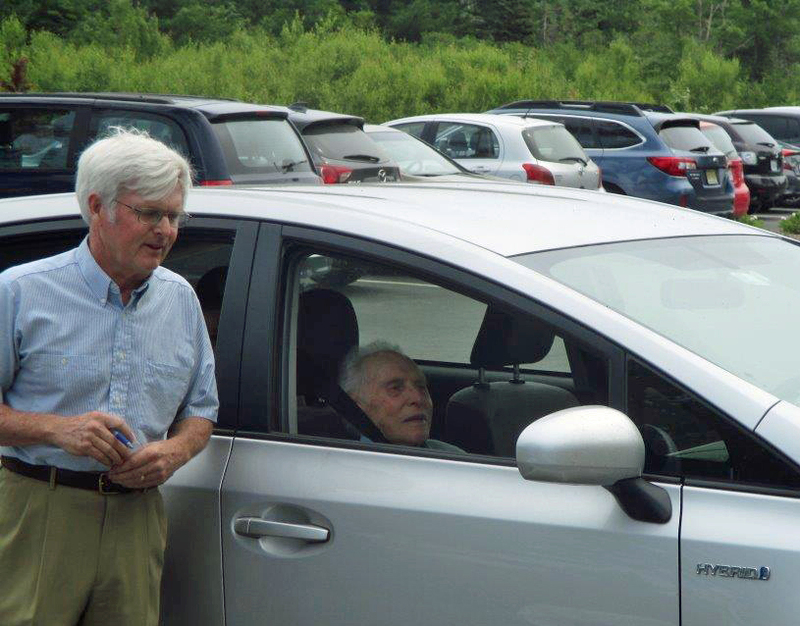 Many thanks to the Playhouse for hosting this celebration! 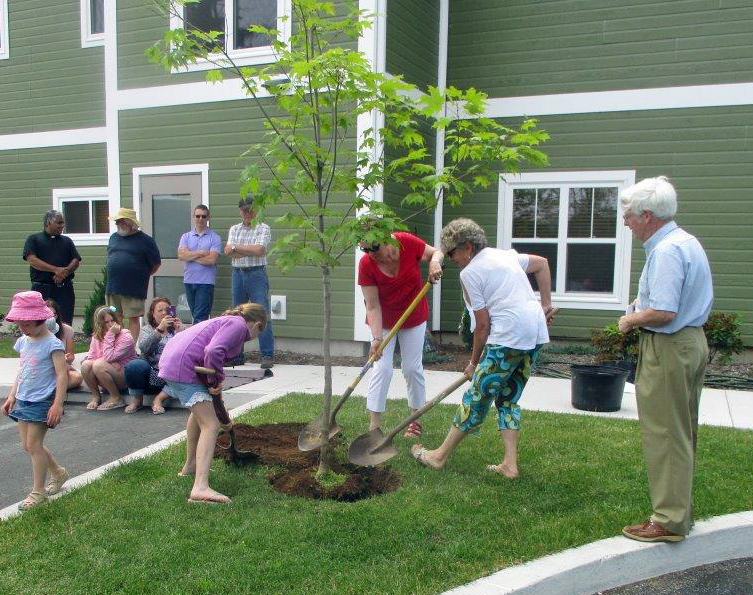 This entry was posted in Chester, Local Events and tagged Chester Playhouse, Order of Nova Scotia, Rudy Hasse on September 16, 2015 by Friends of Nature. 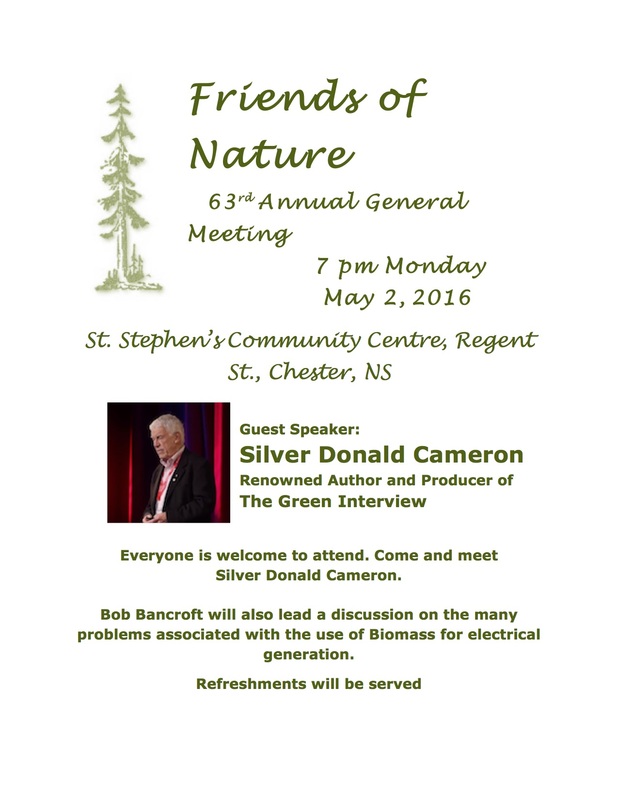 This entry was posted in Chester, Local Events and tagged AGM on April 17, 2015 by Friends of Nature. 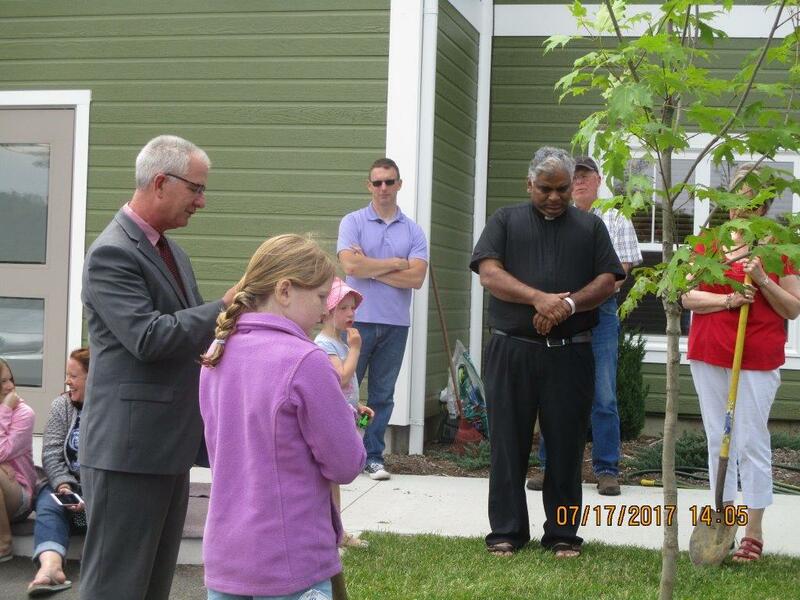 Some exciting events happening the month is the South Shore related to the environment. 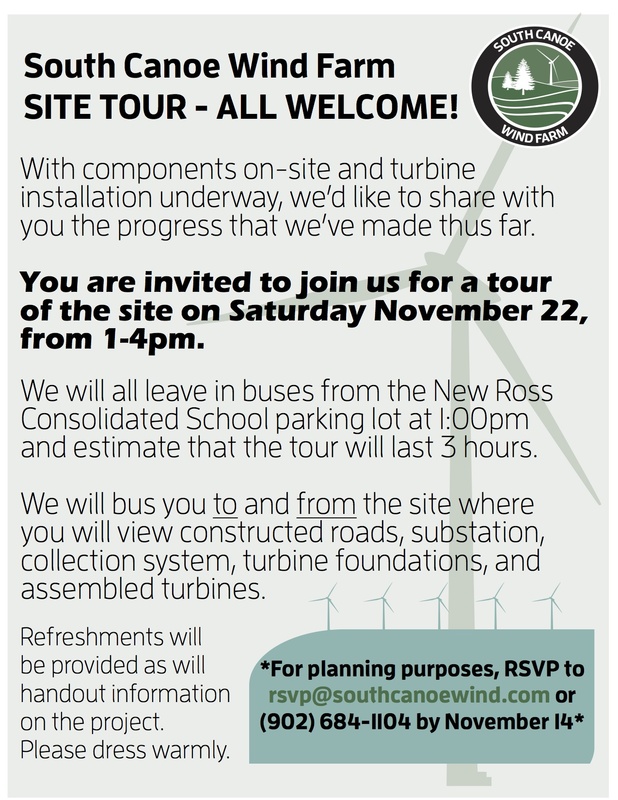 Aside from our own AGM on November 18 featuring two amazing guest speakers, (click for more information), there’s an opportunity to check out the new South Canoe Wind Farm Site Tour! Please RSVP to rsvp@southcanoewind.com by Nov 14th if you plan to attend. 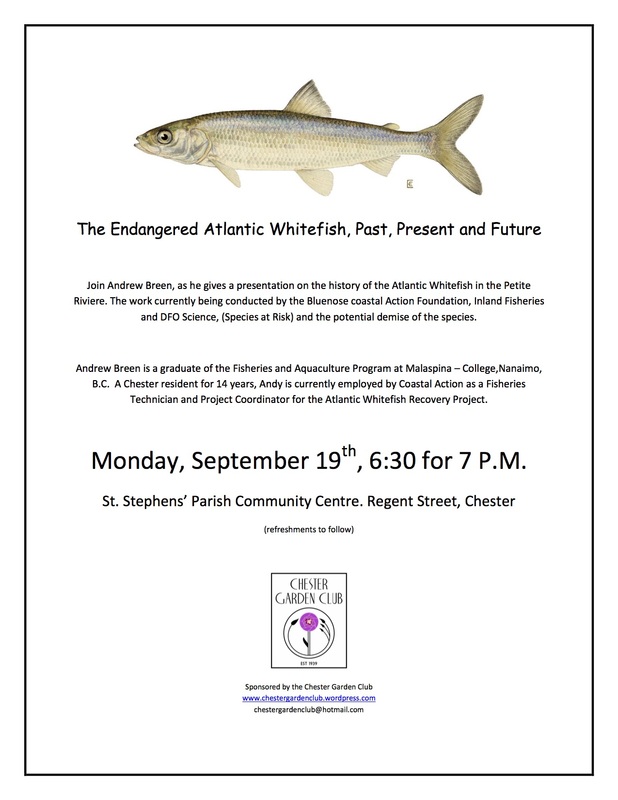 This entry was posted in Chester, Local Events and tagged South Canoe Wind Farm, Wind Farm on November 2, 2014 by Friends of Nature. Join us on April 22 to celebrate Earth Day 2014 in one of the most beautiful places in the world (in our humble opinion). Download our Earth Day poster here. 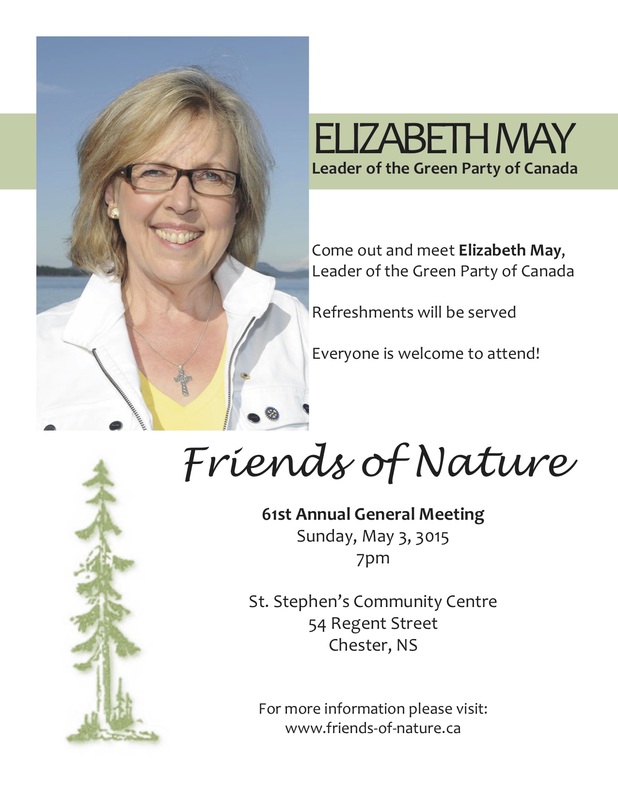 This entry was posted in Chester, Conservation, Nova Scotia and tagged Earth Day on April 12, 2014 by Friends of Nature. Chester, Nova Scotia has two new wilderness areas: South Panuke and Holden Lake. Together these two areas total 8350 ha of land that will now be protected and enjoyed for many generations. This entry was posted in Chester, Nova Scotia and tagged Holden Lake, Protected Wilderness, South Panuke on March 28, 2014 by Friends of Nature.